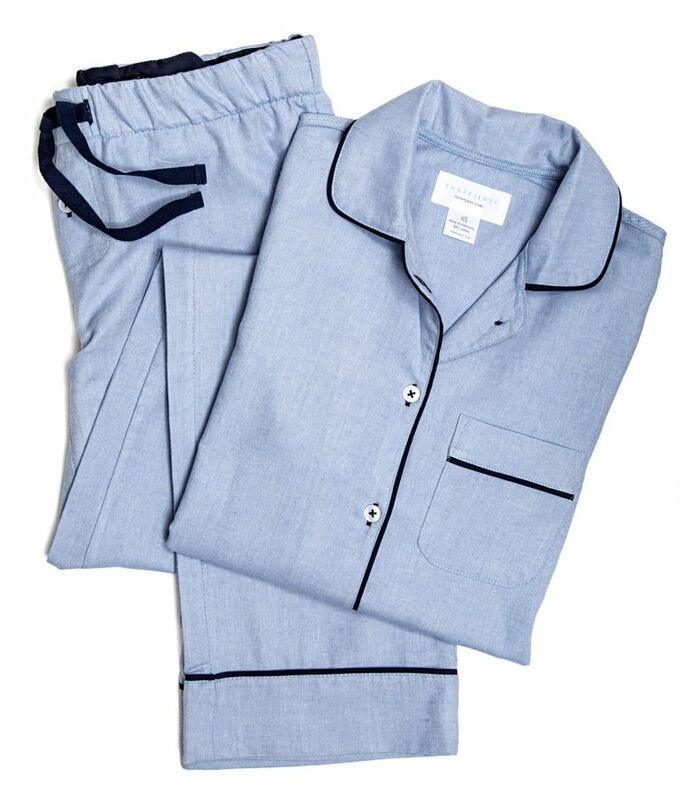 Three J NYC Jamie Flannel Pyjama Set. They are so cosy and comfortable. The fabric is the best of its kind in our opinion and indeed the opinion of this sites founders mum! The top has a contrast piping around the collar and front closure seams as well as the breast pocket and shell button closings. There is piping too on the bottoms at the pant cuffs and an elastic and drawstring waistband that ensures comfort and flexibility with a grosgrain ribbon embellishment.